Easy Care Brick that's full of livability. Hard to find exquisite brick villa which is completely one level, open plan, lots of natural light & flexible; perfect for several lifestyles. Volume ceilings, extensive wood flooring, lots of upgrades. Attractive gas fireplace enhance the living areas. Tile, granite counters, a serving bar, well-planned custom cabinetry; creates a fabulous kitchen for any chef. Serene master suite with tranquil bathroom w/double bowl vanity, tile & walk in closet. Rear covered porch, courtyard and an EASY CARE LIFESTYE for YOU. Here you have time to enjoy what is most important to you, since the yard maintenance, irrigation is taken care of including the cost of street lights, termite contract & common areas are included in the reasonable HOA fee. Great Southside location. 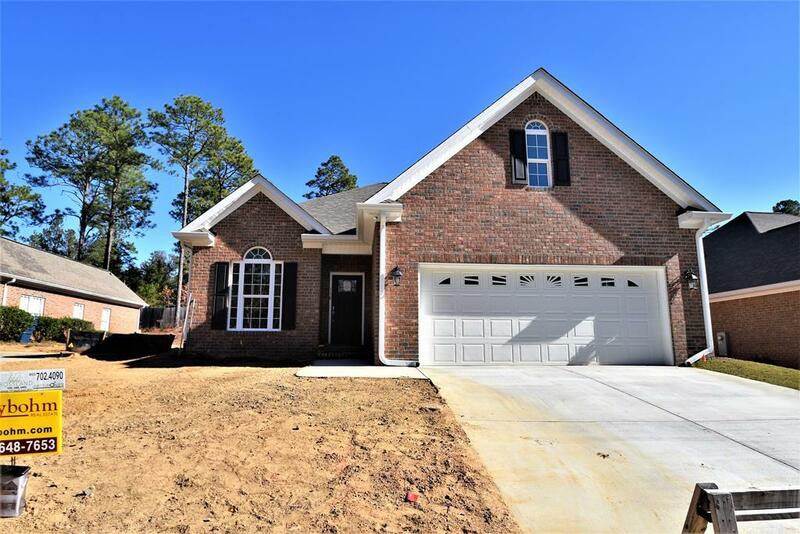 You will love our new Aiken HOME.